Are you ready for a summer grilling? 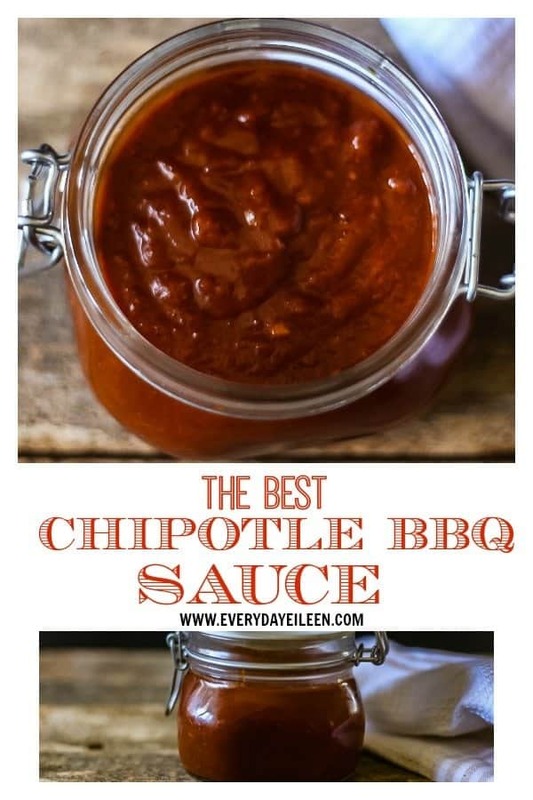 I have The Best Chipotle BBQ Sauce Recipe for you! This is not just easy to make but super versatile! Perfect for brisket, burgers, chicken, pork, and veggies too! 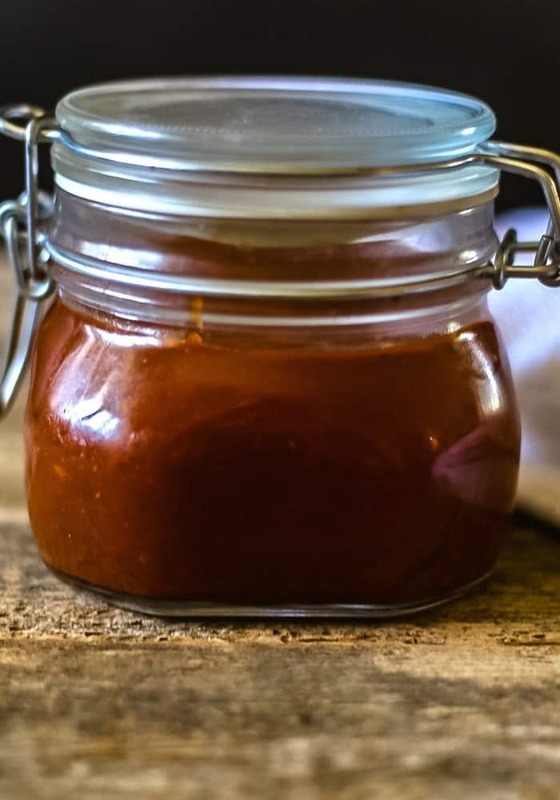 This homemade barbecue sauce has a spicy kick but not overpowering! I always start at a midpoint of spice and add more spice if you like your food really spicy. Pair this easy BBQ sauce with beef, poultry and even on veggies! Make a big batch and freeze for later! Keto friendly! I preach a lot about the benefits of homemade recipes because they are not using preservatives and things we cannot pronounce! 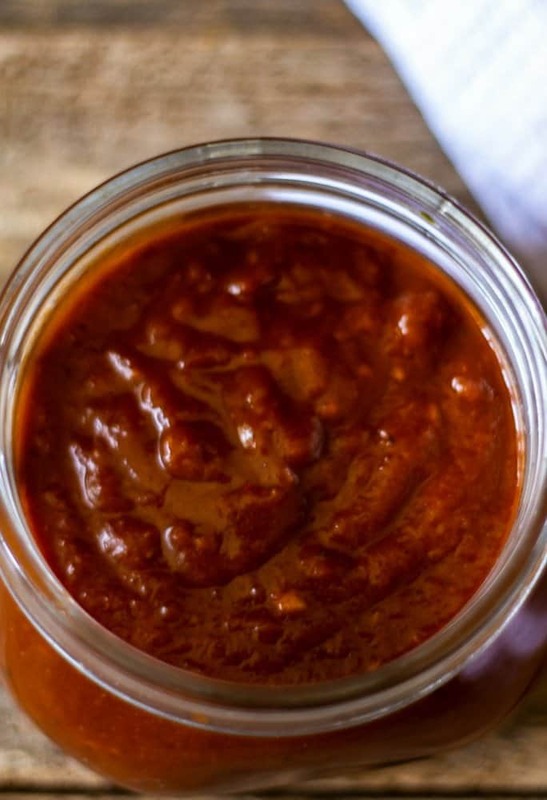 This yummy chipotle BBQ Sauce is a keeper. Easy to prepare and it can be used as a marinade or a barbecue sauce. I have paired it with a fabulous beef brisket. I normally make this easy BBQ sauce in a saucepan. Today, I made this homemade chipotle BBQ sauce in the Instant Pot and added the brisket, holy deliciousness! Spicy yet not overpowering and oh so delicious! We love BBQ ribs and we use my easy tutorial “How to grill ribs” to make the best ribs! 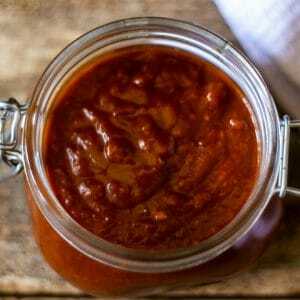 This easy homemade barbecue sauce is a sauce for so many recipes. I tend to make this and adjust the final spices, depending on who I feeding and the recipe. I tend to make a triple batch and separate into quart size bags. The family loves this Chipotle BBQ Sauce on brisket, chicken, and pork. If you love a great BBQ pizza, this is my go-to sauce to use. One of the ingredients to make this easy barbecue sauce is “chipotles in adobo sauce”, what it that and where can I find it in the grocer? Chipotles in adobo are a canned product that is usually found in the Mexican section of your grocery store or through Amazon. The chipotles are smoked and dried jalapeno in a thick spicy yet somewhat sweet tangy red sauce. I have had friends unable to locate chipotles in adobo sauce, any substitutions? If you cannot find the chipotle in adobo at the grocer or have run out of chipotle in the cupboard, you never know when you may need to make a substitution. I found this great article and this is an awesome substitute! Can Chipotle BBQ sauce be made ahead and frozen? Yes. I encourage you to make a large batch, label 1 quart of gallon bags with date and sauce title and use when needed. I would use within 3 months. If refrigerated, about 3 days well-covered. 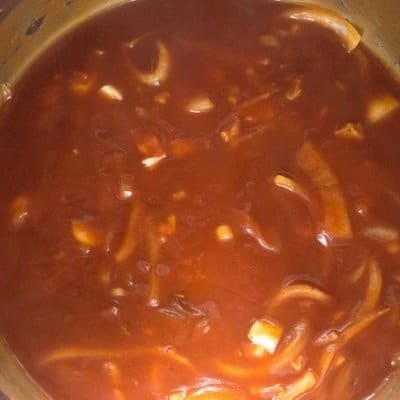 This Chipotle BBQ sauce only calls for using a portion of the canned chipotle chili in adobo do not call for using the full can, what do you do with the remaining chilis? The canned chipotles should be well covered and in the fridge for about 4 weeks. Chipotle Peppers in Adobo Sauce: I wish I had stock in this product, I use them all the time, yum! No-Salt Ketchup: love this ketchup, great flavor! Apple Cider Vinegar: Best apple cider vinegar I have found, nutritionally awesome! Mason Jars: Chipotle BBQ sauce makes a great hostess or Holiday gift. I keep jars handy always! In a medium saucepan, over medium heat, add olive oil. Once warmed, add onions and garlic. Season with salt and pepper. Saute for about 5 minutes. Add the remaining ingredients, simmer for about 30 minutes. The mixture will thicken and the tomato base will darken. This easy BBQ sauce has simmered for about 30 minutes and all the flavors have blended for a tasty sauce. I often give this homemade BBQ sauce as a hostess gift with the directions attached! The chipotle BBQ sauce is perfect for brisket, ribs, chicken, and turkey. I love this sauce on cauliflower steaks too! Just delish! 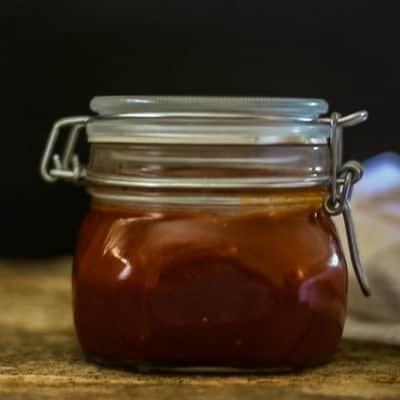 Are you loving this tasty easy barbecue sauce, giving it a 5-star rating and any comments are super helpful for me and very much appreciated! In a medium saucepan, over medium heat add the olive oil. Add in onions and garlic. Saute about 3 minutes, onions will get translucent, add the garlic and saute another 2 minutes. Add the remaining ingredients chipotle peppers in adobo sauce, ketchup, tomato sauce, apple cider vinegar, chili powder, ground mustard, pepper, and salt. Cover pot and let simmer over medium heat, stirring occasionally for about 20 minutes. Check seasonings and make any adjustments, if needed. BBQ sauce can be kept tightly covered in the fridge for about 3-4 days. Can be frozen for 3 months. 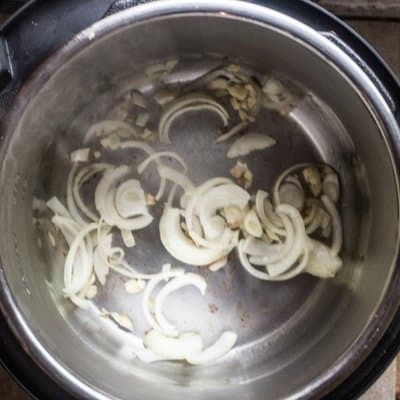 Use on ribs, beef, poultry, turkey, and veggies. I use low-salt ketchup and salt-free tomato sauce due to having high cholesterol, you can use regular ketchup and salt. After sauce has simmered, check your seasoning, adjust if needed. This BBQ sauce can be frozen in a well-sealed bag or container for up to 6 months. Keep the sauce in the fridge well covered up to 5-6 days. I made this and halved the chili powder and added a tbs of brown sugar and it was still too spicy for my youngest, but the rest of us loved it. I also blended it at the end for a smoother sauce. Stirred it into slow cooker shredded pork for tacos, got rave reviews. I know sometimes children have a palette that has not developed a love of spicy food! I am glad everyone else enjoyed the BBQ sauce! I love that you used it in shredded pork, Rebecca! Thank you so much for taking the time to let me know how the recipe went for you! I will also try it with your addition of brown sugar, sounds great! Wow – we made this yesterday and it’s fabulous! Smoky with a bit of spice. I’m makiing it again today to freeze for next week! Speaking of things we can’t pronounce, I once got told off by an American for pronouncing Chipotle wrong 😀 Love the sound of this sauce though such amazing flavours that will add so much depth with a nice pinch of chili, just pass me a spoon already! I am sure you said Chipotle beautifully Brian :)! I agree that this is one super tasting BBQ sauce and the addition of the chipotle is adds perfect flavor. Oh my word!! Chipotle is one of my favorite flavors on the planet!! I love making BBQ sauce, not sure why I haven’t married the 2 flavors!! Fantastic recipe!! 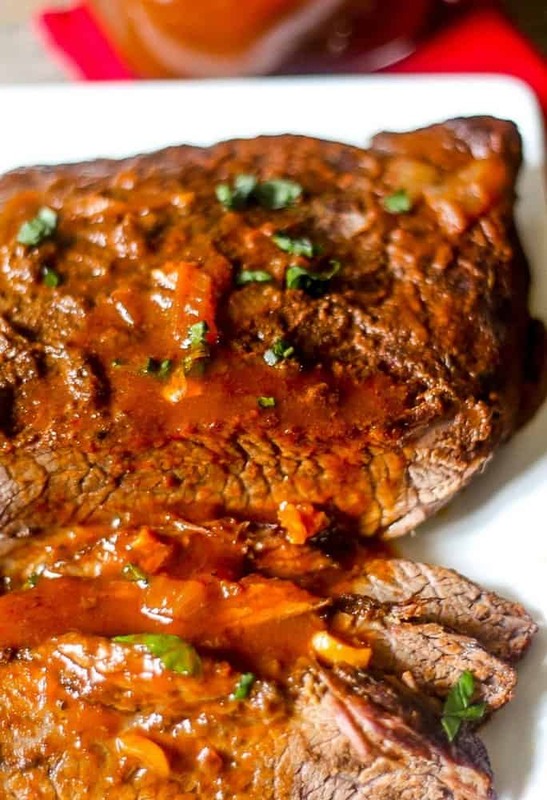 Beth, definitely make this Chipotle BBQ sauce and enjoy. Let me know how it works for you. I love chipotles in adobo, they add such a wonderful flavor. I’ve made something similar but only for a specific dish – must branch out and use BBQ sauce more widely! Caroline, definitely branch out on those flavors of chipotle and bbq and enjoy!